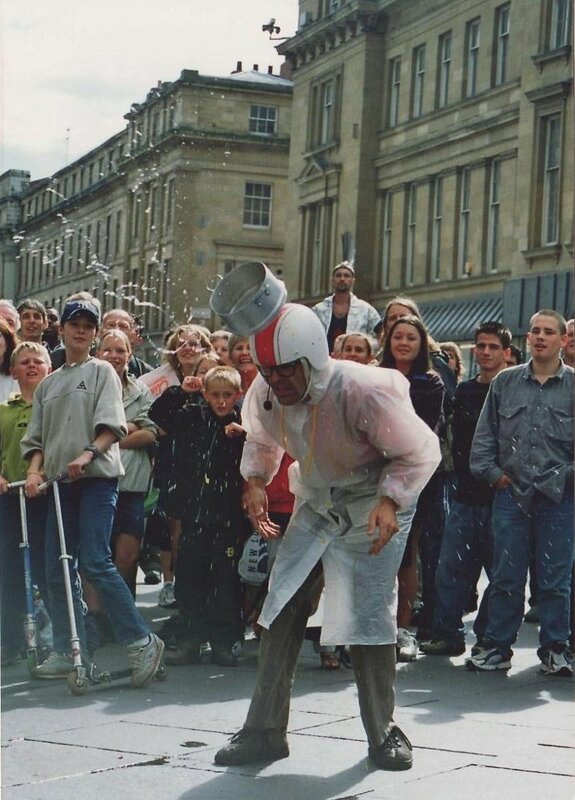 Maynard Flip Flap is Daft as a Brush, He flips Eggs high into the air then attempts to catch them on his head. 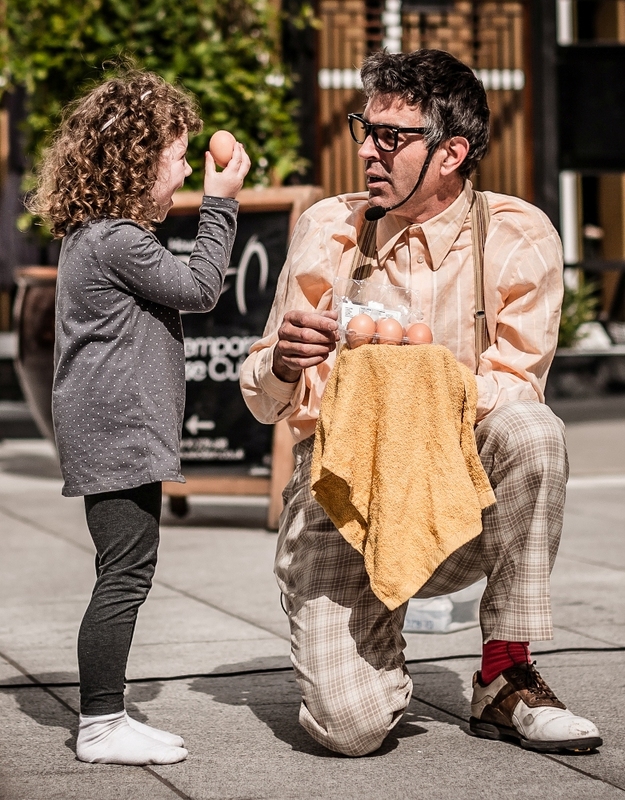 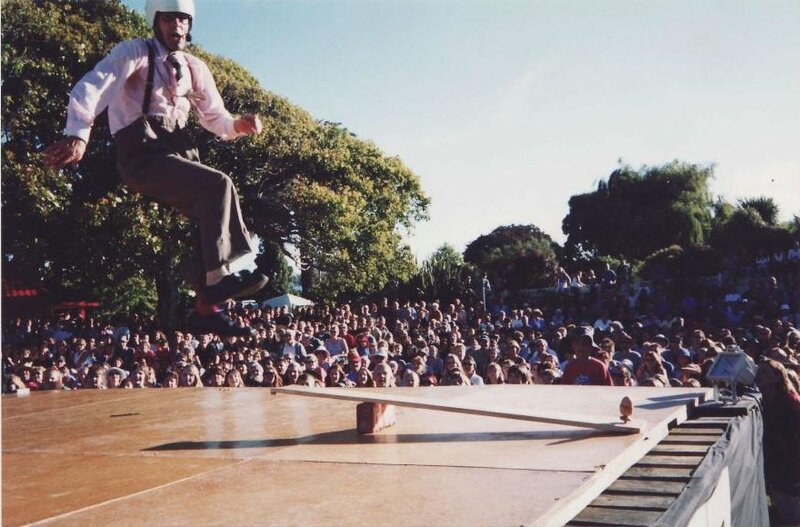 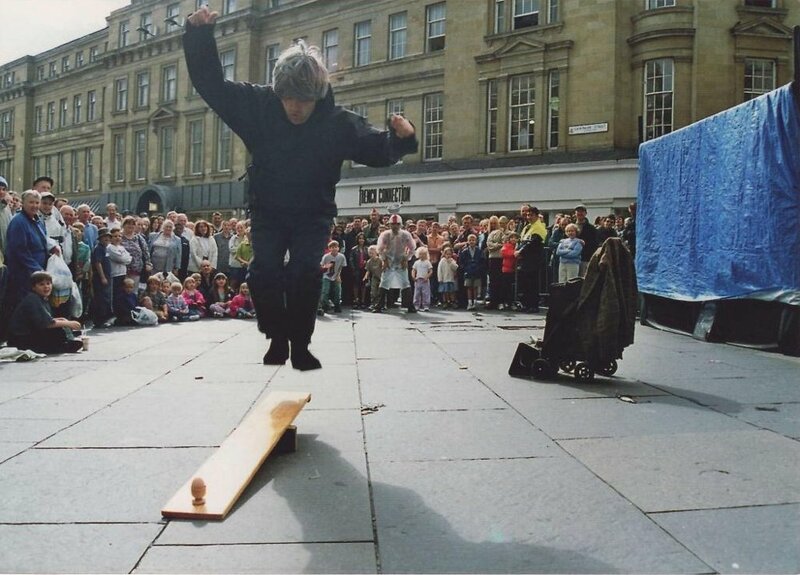 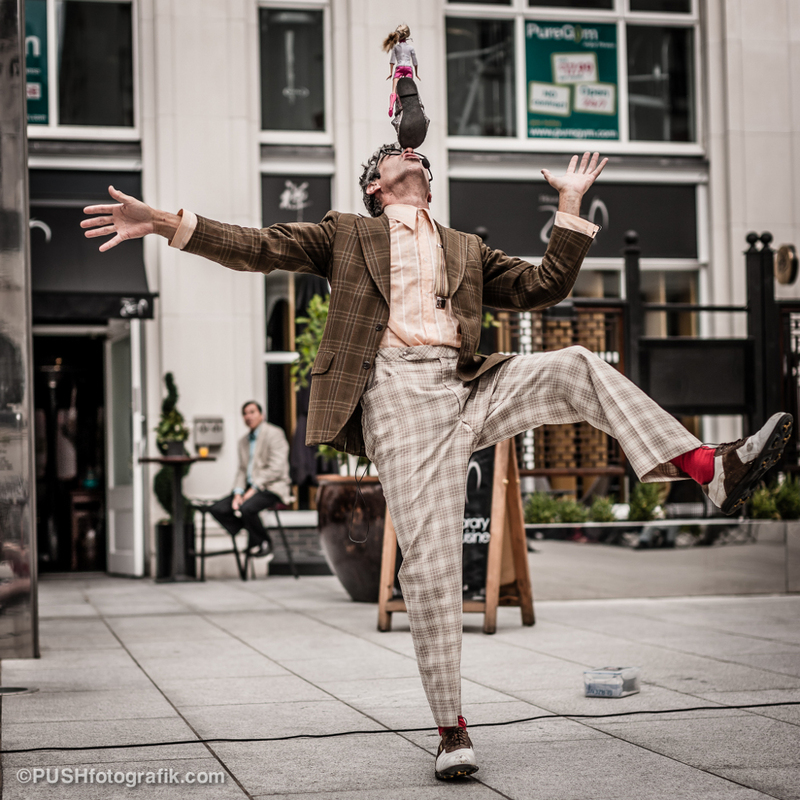 This internationally travelled street theatre show also includes daring shoes balancing, a coat hanger escape and audience members racing biscuits. 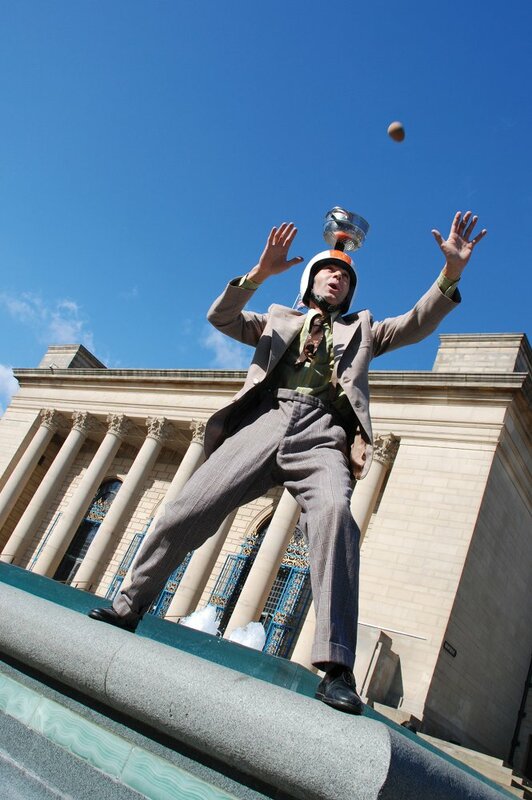 Suitable for all ages, plenty of audience involvement all glued together with Mr Flip Flaps’ madcap sense of humour.